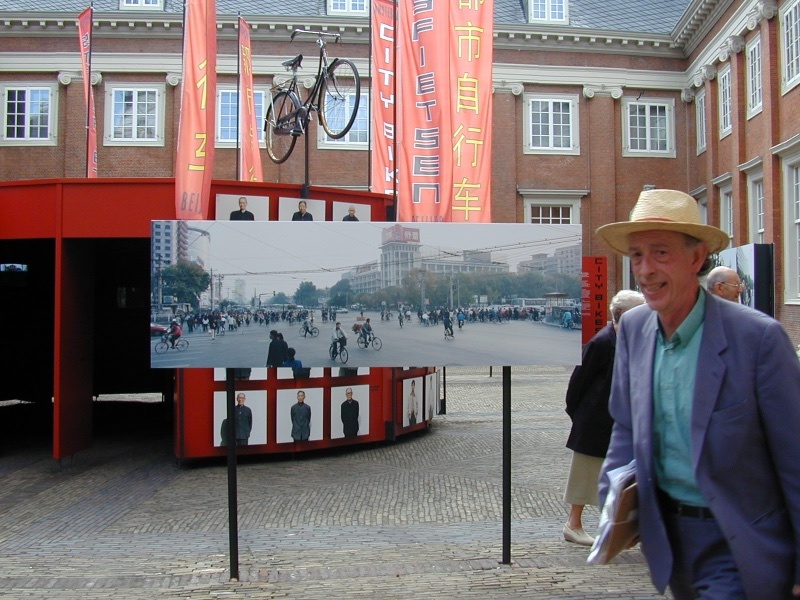 “Stadsfietsen” provides playful insights into daily life in two cosmopolitan cities, Amsterdam and Beijing. The perspective for this introduction is the bicycle. In both places a much-loved, much used and often abused mode of transport. Modern Amsterdam is brought into focus by three Chinese photographers, while a quartet of Dutch photographers highlights modern Beijing. 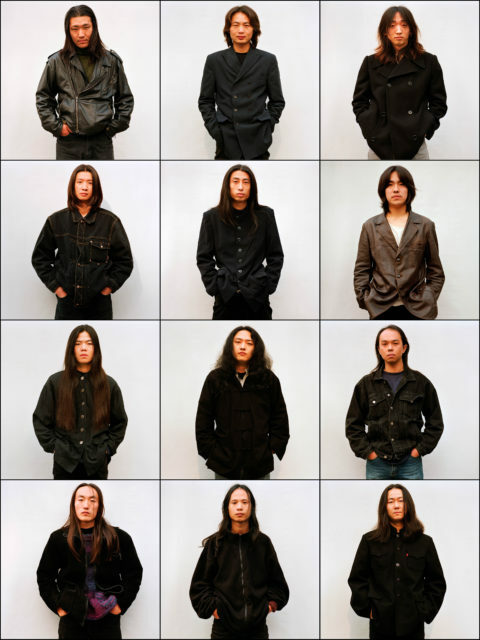 The catalyst for creating this show was the link between the cities of Amsterdam and Beijing. For the Amsterdam Fund for the Arts Bas Vroege (Paradox) selected a number of Dutch photographers who were capable of dealing with the subject matter. 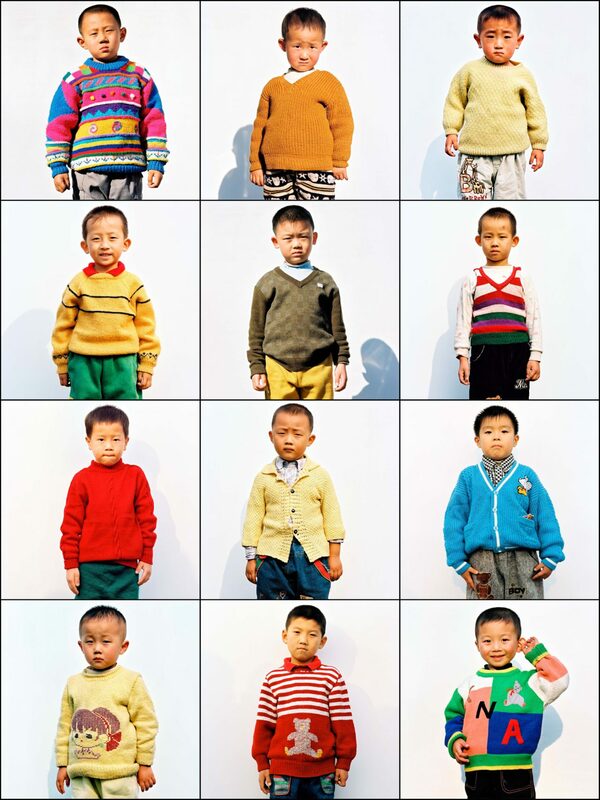 In Beijing, the Beijing Photographers Association did the same, assisted by the Beijing People’s Association for Friendship with Foreign Countries. This resulted in mutual visits of two weeks in the second half of 1999. The exhibition concept was further developed by Bas Vroege and curator/designer Jeroen de Vries. 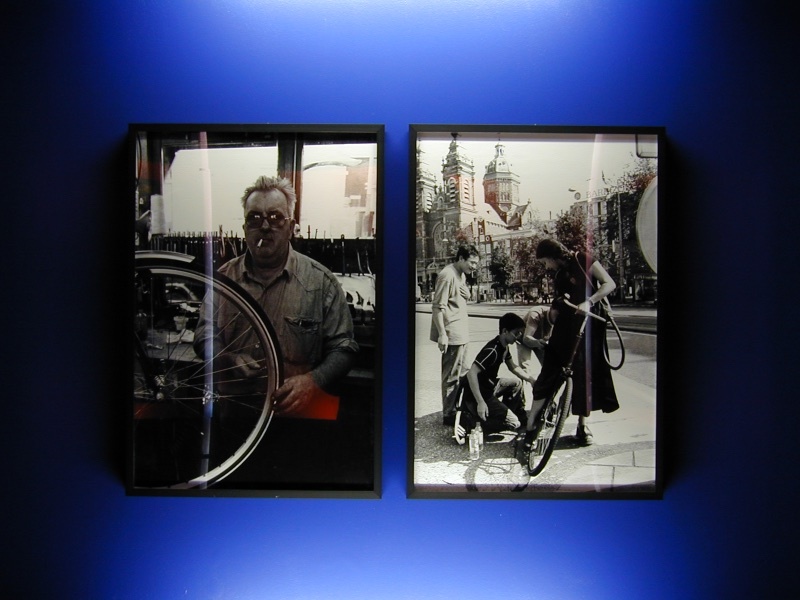 The exhibition is linked with the world bicycle conference Vélo Mondial 2000. 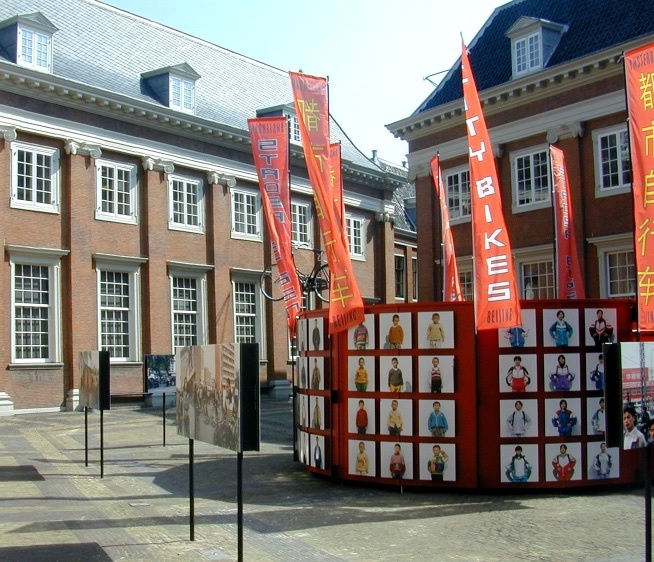 The ENFB (the Dutch Cyclists’ Union that is celebrating its 25th anniversary this year) organized the bicycle tours through the city that connect this exhibition with other sites. The work of Hans Aarsman (b. 1951) is best described as fieldwork. He is a Dutch photographer, photodetective and writer. His photographic work has been displayed various times at the Stedelijk Museum in Amsterdam. Every Thursday in Volkskrant and every Saturday in De Tijd, Aarsman writes an episode of Collection, in which he scrutinises photographs in his idiosyncratic manner. He has toured Dutch theatres with a one man show about his fieldwork. In 1989 he published the book Hollandse Taferelen which consisted of landscapes photographed from the roof of a camper which he pulled through the Netherlands for a year. In 1990–1991 he finished a photo series of East German states. Other photobooks produced by Aarsman include Aarsmans Amsterdam (1993), Een engeltje dat over mijn tong piest (1995), and Vrooom!Vrooom! (2003). Hans van der Meer (b. 1955) studied photography at MTS in The Hague, followed by a residency at the Rijksakademie in Amsterdam. He is probably best known for his series on amateur football, Dutch Fields (1998) and European Fields (2006, published by Steidl/MACK). 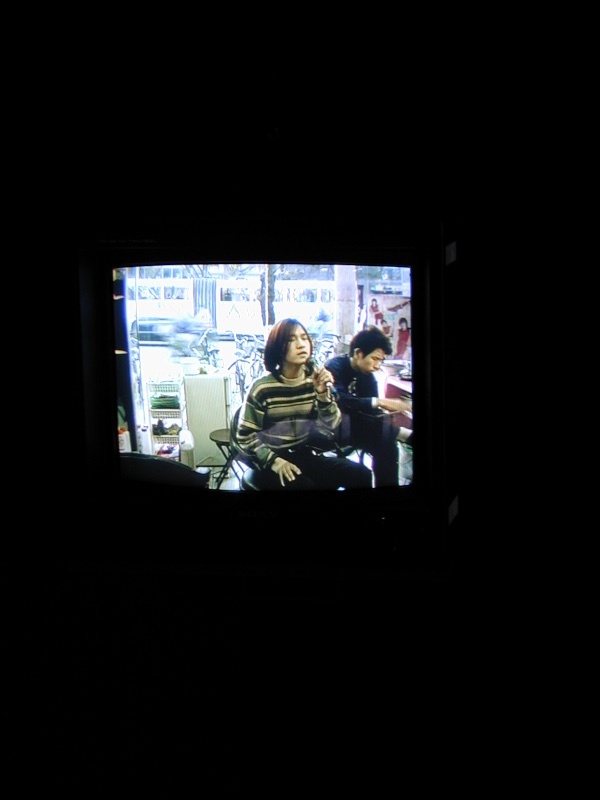 In 2009, Camera Austria hosted a retrospective of his work. Through photography, film and writing Van der Meer examines the world around him. 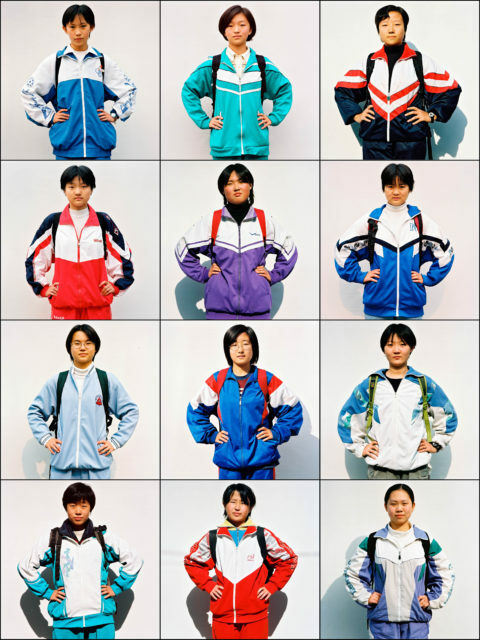 For example, his images of amateur football are also an exploration of human nature within the landscape. In The Netherlands – Off the shelf (2012) he wryly observes the increasingly homogenous built environment of provincial Dutch towns. With his latest project, Time to Change Van der Meer shows us the remarkable world of dairy farming. Hans van der Meer is based in Amsterdam and teaches at the Royal Academy of Art in The Hague. 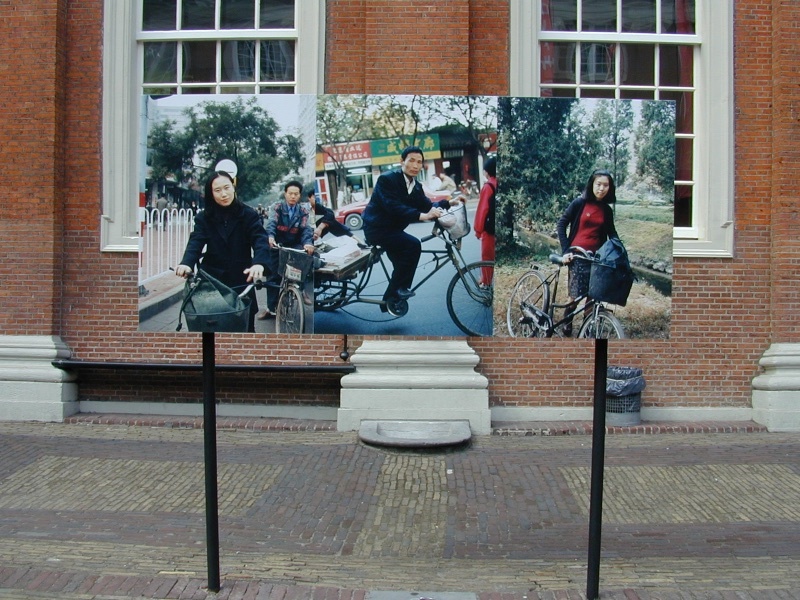 The “Stadsfietsen” exhibition provides playful insights into daily life in two cosmopolitan cities, Amsterdam and Beijing. The perspective for this introduction is the bicycle. In both places a much-loved, much used and often abused mode of transport. Modern Amsterdam is brought into focus by three Chinese photographers, while a quartet of Dutch photographers highlights modern Beijing. 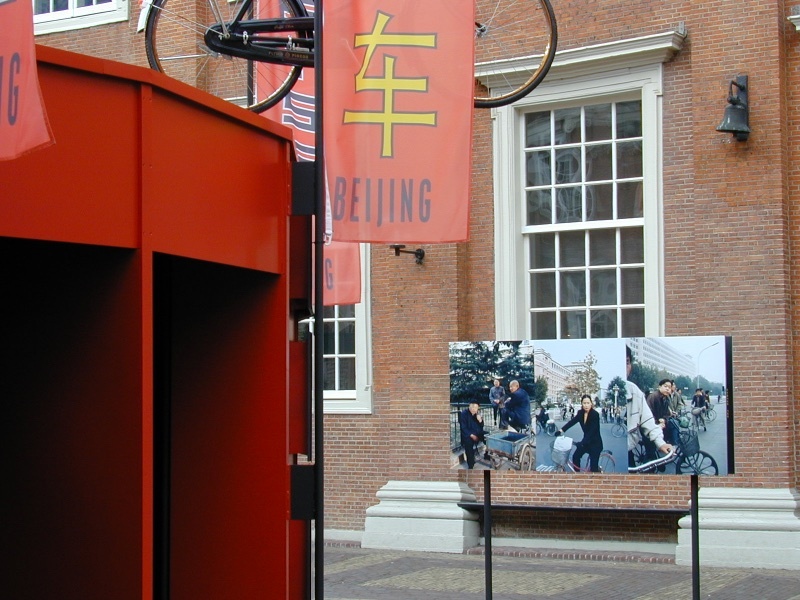 The catalyst for creating this show was the link between the cities of Amsterdam and Beijing. The exhibition concept was developed by Bas Vroege and curator/designer Jeroen de Vries. 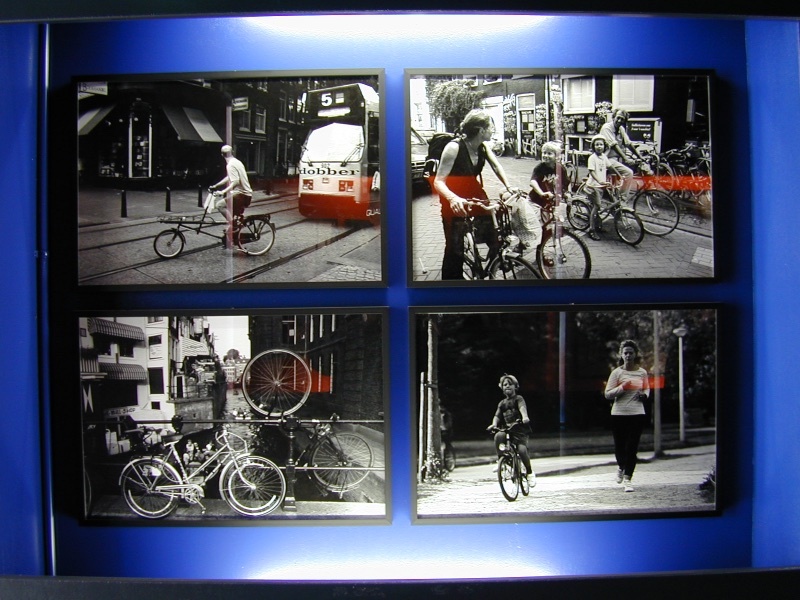 The exhibition is linked with the world bicycle conference Vélo Mondial 2000. 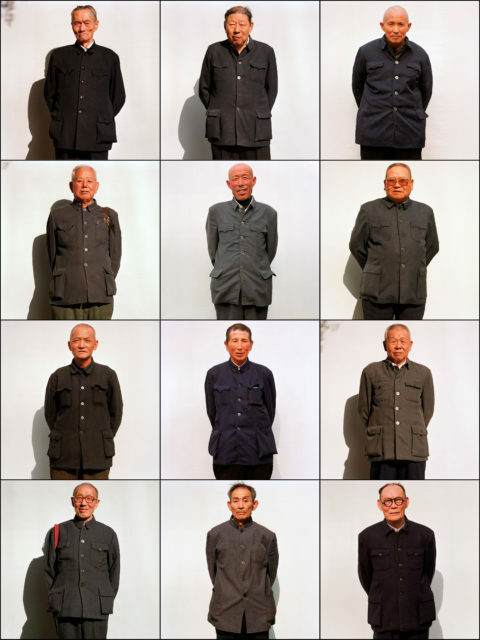 The Chinese sent photographers Wang Yue, Chi Yujie and Gong Dapeng, along with writer Zhao Jinjiu. Chi Yujie has a somewhat ironic view of the city and its residents. His photographs of Amsterdam contain many small anecdotes. 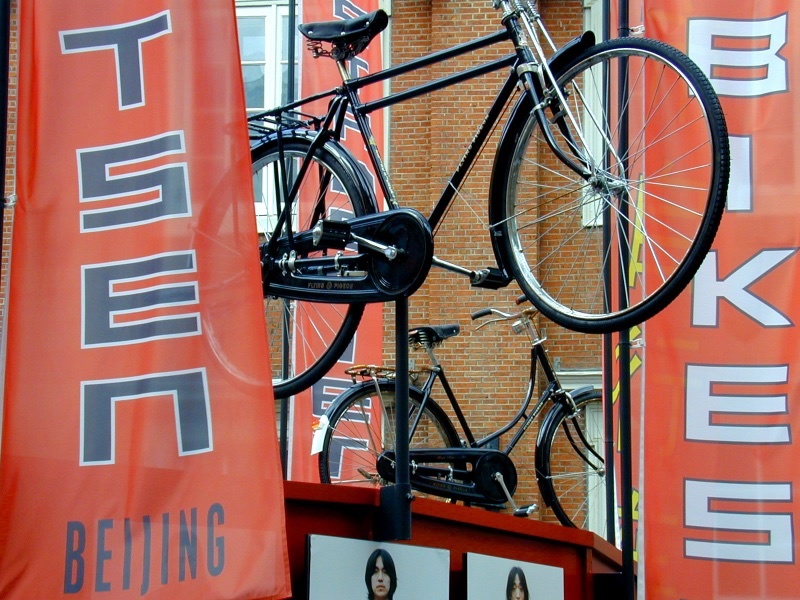 Anyone who has ever owned a bicycle in Amsterdam is familiar with the phenomenon of “bicycle-related petty crime.” Gong Dapeng appears to have a special talent for tracking down this and other marginal phenomena of the big city. Wang Yue, who in addition to his photographic activities in Beijing is involved in organizing activities for the photographers’ association, photographed a large number of scenes that you could call “spontaneous street theatre” (with bicycle!). The delegation of Dutch photographers consisted of Hans Aarsman, Hans van der Meer and the duo Ellie Uyttenbroek & Ari Versluis. 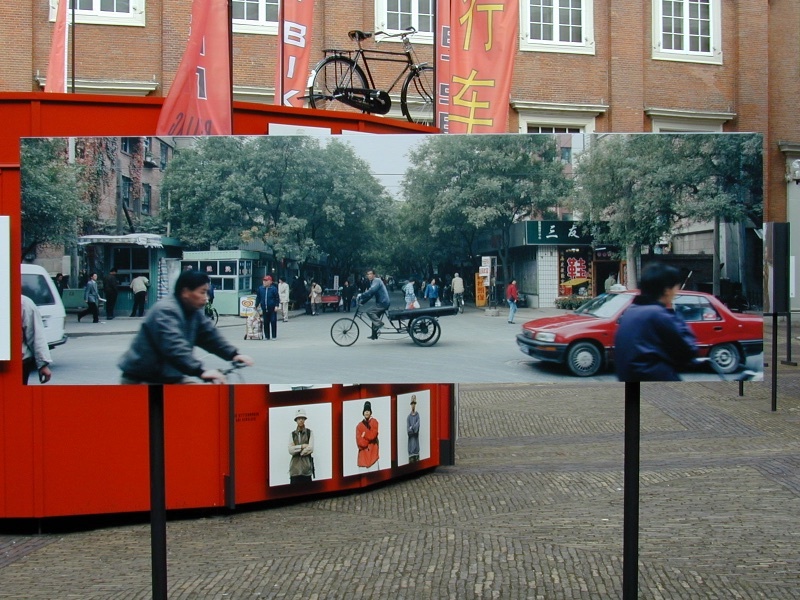 Hans van der Meer made street panoramas and filmed, frequently from a bicycle taxi. 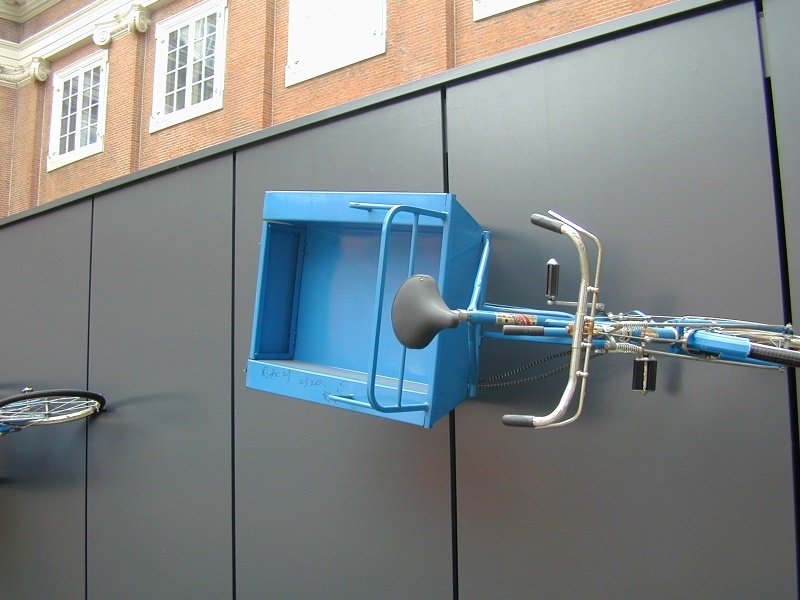 On a street corner near a Western “fast food” restaurant Ari Versluis and Ellie Uyttenbroek plucked people from their bicycles, sometimes literally. Their speciality (Versluis is a photographer, Uyttenbroek a stylist) is defining and recording contemporary fashion images, not just those of the mainstream but also those of various subcultures. China was a new challenge for them. Writer/photographer Hans Aarsman primarily photographed Chinese women, with or without bicycle, and kept a diary of his experience. One single time he allowed a man into the picture. The exhibition was made possible thanks to the support of the City of Amsterdam (Economic and International Affairs), The Beijing People’s Association for Friendship with Foreign Countries, the Amsterdam Fund for the Arts, the Federation of Literary and Art Circles of Beijing, Vélo Mondial 2000, the Ministry of Education, Culture and Science (OC&W), Falco, the China Bicycle Association, Flying Pigeon, Hofung, VNC and others.